HP has teamed up with Singapore’s Nanyang Technological University (NTU) to set up a new research lab aimed at advancing digital manufacturing technologies, as Computerweekly reports. 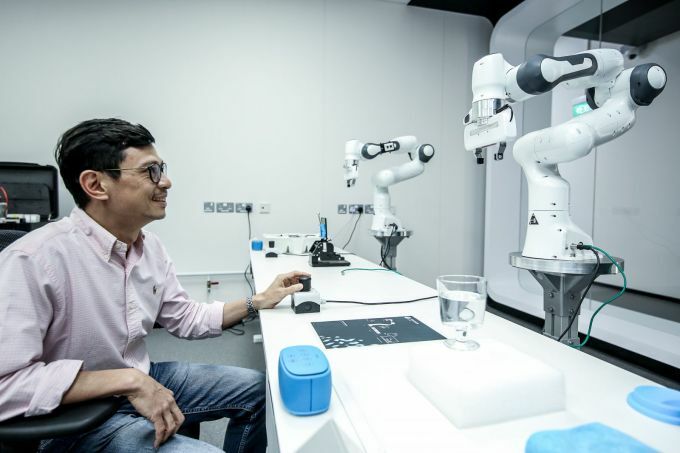 As a first of its kind for HP in Asia, the S$84m lab’s key research focus includes 3D printing, artificial intelligence (AI), machine learning, new materials and applications, cyber security and product customization. For a start, the lab’s 100 researchers and staff will prioritize 15 projects in areas such as the use of advanced polymers for manufacturing applications, AI capabilities that enable printers to autonomously predict and solve problems, and malware mitigation, among others. HP and NTU will also develop educational curriculum on designing products for additive manufacturing – covering areas such as data management, security, user experience and business models. The tie-up comes on the back of Singapore’s efforts transform its manufacturing industry which accounts for a fifth of the country’s GDP and half a million jobs. “Over the years, our manufacturing sector has successfully undergone major shifts, from a labor intensive sector in the 1960s to one that is innovation-driven,” said Heng Swee Keat, Singapore’s minister for finance and chairman of the National Research Foundation (NRF) which facilitated the collaboration. “Today, technological trends, such as automation, customization through digital production, additive manufacturing, and AI, are once again ushering a new era of manufacturing. Industry 4.0, as it is called, will necessitate advanced research and accelerated innovation activities,” he added. Besides HP and NTU, the NRF has also linked up the National University of Singapore, Singapore University of Technology and Design and Singapore Management University with global and local enterprises such as Rolls Royce, ST Engineering, Keppel Corporation to set up similar labs. In December 2017, HP set up the Smart Manufacturing Application and Research Centre (Smarc) in Singapore to oversee over 50 print supplies manufacturing lines and test the use of robots, data analytics and 3D printing to improve production efficiency. Predictive maintenance and quality models will also be developed to optimize HP’s supply chain, improve production quality and increase cost savings, while 3D printing will be used to prototype and make parts that are needed only in smaller quantities. Steven Lee Conner, HP’s head of supplies operations, said the capabilities developed out of Smarc, located at the HP Singapore campus, were expected to improve productivity by at least 20% across HP’s print manufacturing ecosystem.